UPDATE: Holly has now gone through two rounds of chemo. After a recent scan, she has already shown significant progress in the reduction of her tumors. Thank you everyone! Keep the prayers coming!! A week ago today, our family received some of the worst news anyone could imagine getting. 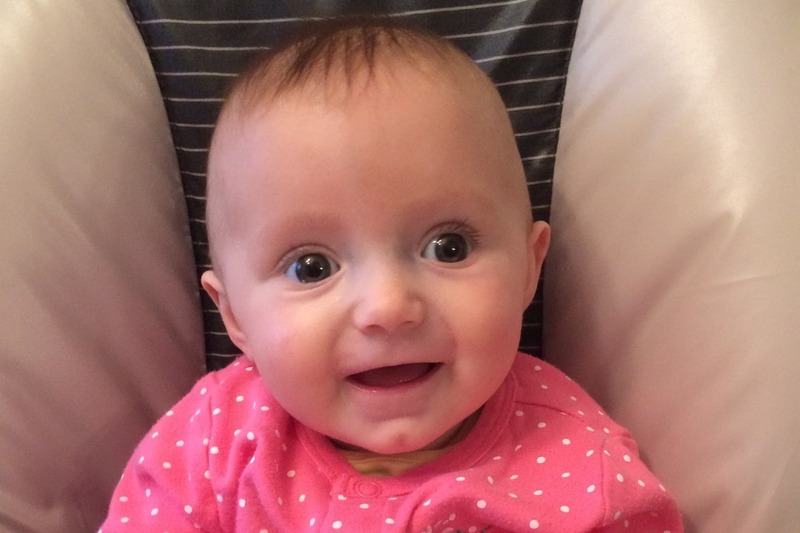 Our beautiful Baby Holly Rodrigues, our niece and soon-to-be goddaughter was diagnosed with a rare eye cancer at four months of age. The specific cancer is called bilateral retinoblastoma. As you can imagine, this is devastating news to all of us; but especially her parents, Diana and Bob Rodrigues and her big sister, Hannah. Luckily, early detection means that the cancer is isolated in her eyes and doctors are hopeful that chemotherapy could result in a positive outcome. We would like to ask for your thoughts prayers and well wishes during this difficult time; but we also recognize that this road is going to be long and the costs could be tremendous. If you are able to help the family financially to cover the costs of what will likely be significant medical expenses; please consider donating here. Thank you in advance - we all LOVE you Holly!